The Jericho area, just outside of the town centre, is full of wonderful little eateries. But even with all of those the Oxford Branca still manages to shine! With a little outside seating area, complete with warm, tartan blankets, it’s perfect for the newly arrived summer sunshine that blesses Oxford (nearly) every year. Being an Italian restaurant, the menu largely focuses on gourmet style pizzas and hearty pasta dishes, but don’t worry as there’s a wonderful range. The roast duck with fried gnocchi is a personal favourite, and the complimentary bread and oil manages to hit the spot every time! I’m sure as students you’ll all come to have your favourite pub - the local that manages to churn out hearty grub when you need it most. For me it’s always been ‘Bic Soc.’. Not only is the building itself lovely, and situated outside the town centre which gives you a reason to explore a little more of Oxford, but the garden area is adorably decorated. And with free table football, if you can manage to bag a slot, as well as the scrumptious food. Burgers and ‘dogs a plenty, the mere smell of the food will make your stomach growl, though admittedly it’s the bacon man ‘n’ cheese that is my guilty pleasure. Add all this to the fact that they serve up stacks of pancakes and waffles until the late hours, there isn’t much room for them to go wrong!!! 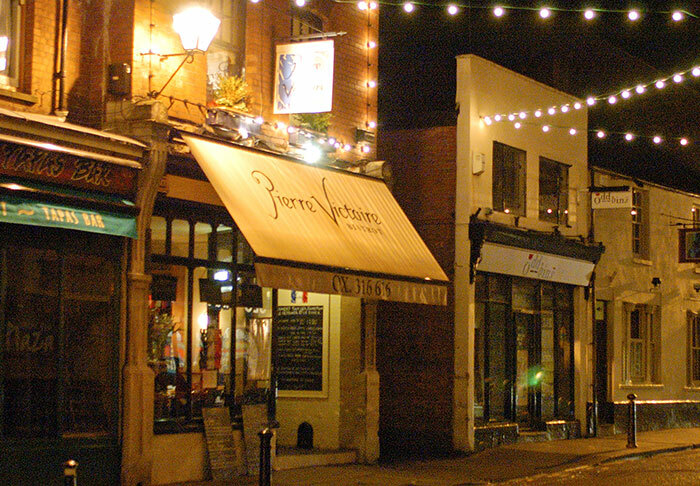 There’s nothing better than a little French bistro serving up dishes fit for kings, and there’s one smack bang in the middle of Oxford. Hidden down one of the side streets, this little piece of Paris offers up wonderfully cooked and authentic French cuisine. From traditional snails to the most luxurious cheese fondue I have ever had the pleasure of indulging in, Pierre Victoire is bound to leave you bursting at the seams. In the best way of course! Do keep a look out for their chalkboard specials as well, they are often very well priced, and the seating upstairs is a tad cosier if that’s more your thing. The parents are visiting and you’re in panic mode because you haven’t thought of anywhere significantly parent worthy to take them for a nice bite to eat. Look no further than The Rose, placed slightly before you hit the mayhem of the city centre. This little eatery churns out quality fry ups like there’s no tomorrow. The interior is all dark wood and white walls, creating an incredibly stylish seating area that any parent would be happy to spend a couple of hours in. With luxury dishes such as ‘Crispy Fried Goats Cheese’ and a ‘Salmon Gravadlax Ciabatta’ gracing the menu, along side classics such as customisable omelettes and steak & ale pie, The Rose is bound to satisfy all the family. The afternoon tea that they also offer rivals that of The Grand Cafe located directly opposite. With a selection of finger sandwiches and a long glass of prosecco, there’s nothing like it to make you forget you’re a student for a little while. Oh and who can resist a warm scone, guaranteed to make the Southerner in all of us long for the coast. For lots of students the Cowley area is a hub of restaurants and bars, busy every night of the week thanks to it's thriving community. This makes finding a decent and yet cheap place that isn't a pub or a fast food chain a little hard. But if tapas is your thing then look no further! I adore being surrounded by little dishes of the most exciting variety of foods, mixing flavours and tastes and trying new foods. Kazbar makes this experience simply wonderful. Greeted by a gloriously Moroccan themed bar as you enter, with the restaurant space tucked round the corner, it's already beautiful. The Moroccan twist seeps into the menu, creating a complete mix of dishes you can pair up, with equal emphasis on meat and veg. Their home made Sangria is something I've yet to find a rival for, adding a fresh and fruity touch to any meal. At surprisingly low prices for the wondrous quality of the food, it seems a shame not to grab a few friends and chow down on a table-full of flavour. With colourful glass lamps and plush velvet cushions filling every corner it really is a hidden gem. Ratatouille is a traditional French Provençal stewed vegetable dish, originating in Nice. The full name of the dish is ratatouille niçoise. It's usually served as a side dish, but may also be served as a meal on its own (accompanied by pasta, rice or bread). Score a small cross on the base of each tomato, then put them into a heatproof bowl. Pour boiling water over the tomatoes, leave for 20 seconds, then remove. Pour the water away, replace the tomatoes and cover with cold water. Leave to cool, then peel the skin away. Quarter the tomatoes, scrape away the seeds with a spoon, then roughly chop the flesh. Stir in the vinegar and sugar, then tip in the tomatoes and half the basil. Return the vegetables to the pan with some salt and pepper and cook for 5 minutes. * Courtesy of Wikipedia – we assume it’s accurate, but you may want to check – or do some other research! 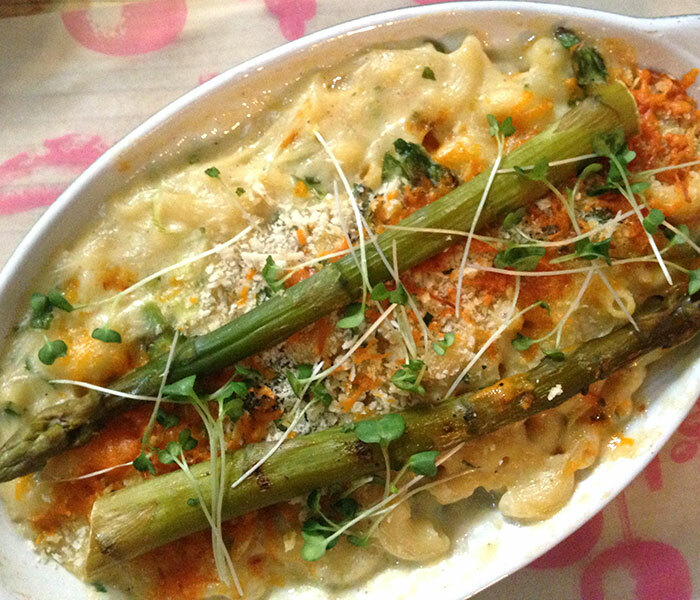 Traditional macaroni and cheese is a casserole baked in the oven; however, as in this recipe, it may be prepared in a sauce pan on top of the stove. Pasta and cheese casseroles have been recorded in cookbooks as early as the 14th century's Liber de Coquina, one of the oldest medieval cookbooks. It is an Italian dish of parmesan and pasta and was brought to England in the 14th century. Transfer the pasta to a baking dish and grill, until browned, for about 3 minutes. Headington is quite often known as the centre of charity shops and medium sized supermarkets, but just off of the London Road, just past the petrol station, is a very well hidden eatery. Open from breakfast till dinner, and specialising in locally sourced meat, it’s a rose among the thorns. The menu is seasonal, meaning your favourites may disappear for a while but allowing the chefs to do what they do best - taking advantage of high quality, in season produce. Whilst this establishment is admittedly not a vegetarian’s dream, it makes up for it with their adventurous seafood specials and spirit collection. With limited tables, I’d advise booking in advance as the wonderfully reclaimed wooden flooring is often bustling with hungry customers in the evenings and at weekends. A real find, especially if you like your steak cooked a perfect medium-rare or even just a good old fashioned rarebit. Stir Fry is a Chinese cooking technique in which ingredients are fried in a small amount of very hot oil while being stirred in a wok. Add the mushrooms and cook until golden brown on all sides. Pour over the black bean sauce and simmer until the mushrooms are cooked through. 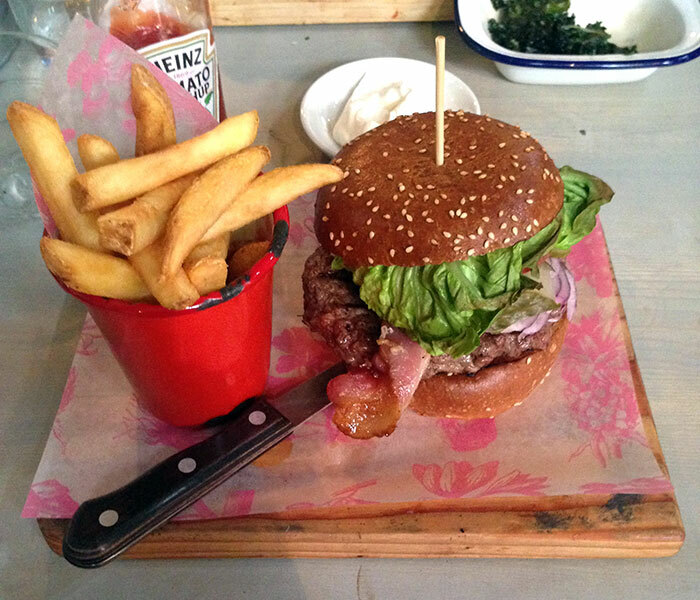 Oxford City Centre Reviewed by Hannah Holt More often than not I try to avoid chain restaurants. There’s just something about a family-run café on a corner that you don’t usually get with a business that has hundreds of outlets. All Bar One, however, never fails to please. 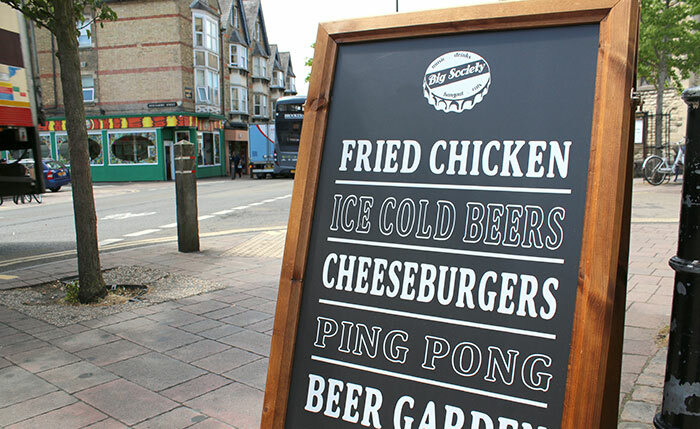 With tons of offers available throughout the day, from a cheaper lunch menu to discounted cocktails all evening, it’s a magnet for students looking for quality food at takeaway prices. For those of you wanting something a little different and willing to spend a little bit more, there are plenty of customisable options to their larger, full price menu. Guacamole is a must with their burger selection. They also proudly sport a wide variety of wine, to satisfy those more sophisticated evenings out, even if it is only one glass. In a nutshell, All Bar One serves wonderful food, ranging across many cuisines, whilst offering up great promotional deals only a well-established chain could, and did I mention they serve breakfast too? In the heart of Oxford’s centre is a little blue restaurant on a corner, the Turl Street Kitchen, located underneath the home of the Oxford Hub. The Hub is a student-run organisation centred around volunteering and campaigning, and the eatery below it is a magnet for students. The rustic styled establishment doubles as a simple café during the few hours it isn’t serving glorious comfort food, meaning you can always grab a strong coffee to power through those never ending essays. Like other restaurants in Oxford, it takes advantage of local suppliers, meaning that the menu changes daily so you get the chance to taste all that Oxford has to offer. One of my personal favourites is their vegetable and blue cheese bake, and if you get a chance the sticky toffee pudding too - perfection in a bowl. With meals to make you feel like you’re right back at home for barely more than £10, their cheap treats are more than worth indulging in when you’re at your most homesick.